This is a landmark residential project offering an opportunity to own a stylish new townhome or condo suite in a sought-after area of Toronto. 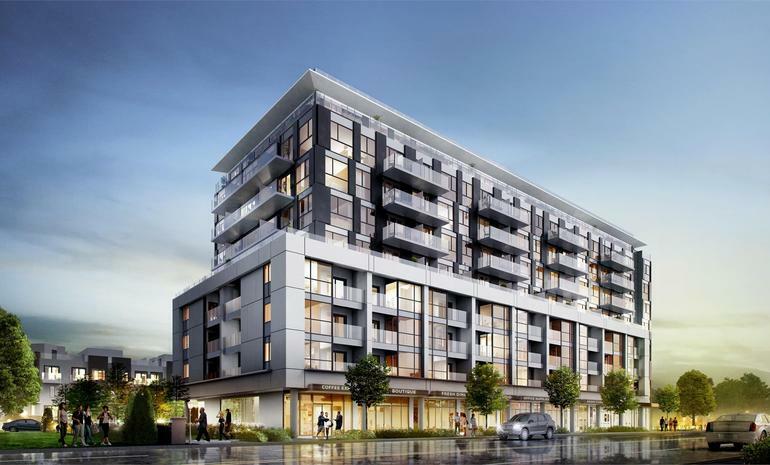 Located at 250 Danforth Road, near Danforth Avenue, this project is nestled in an excellent neighbourhood that is sure to attract any homebuyer. 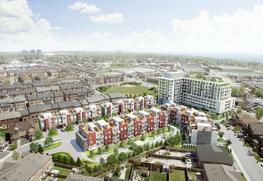 It also promises a beautiful collection of urban and freehold townhomes as well as a boutique style 9-storey condominium building with street level commercial and retail facilities. You can choose from 3 BHK villas. The payment plan is attractive It is currently an under construction project and is expected to reach completion by 2020. There are 300 units in total. 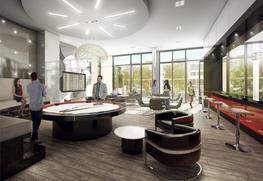 There are several amenities available for residents. These include, party room with rund pool table, bar, designer lobby and lounge, gymnasium/fitness centre, yoga and pilates zone, furnished guest suite, private screening cinema with theatre seating and mini bar, rooftop terrace/garden, barbeque area, amongst others. The location of this project offers several advantages to residents. The planned Eglington LRT is currently under construction. It will not only facilitate easier commute, but the new rapid transit will also welcome new residents to this growing locality. ‘Greek Town’ is just a few subway stops along Danforth, and it hosts numerous restaurants, grocery shops, general stores, etc. The Beaches, Leslieville and The Danforth promise many attractions throughout the year, including annual festivals like Taste of the Danforth, Streetfest and the Beaches International Jazz Festival. 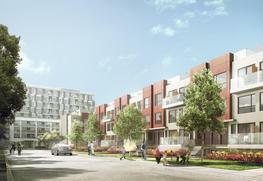 Residents can also easily access Harbourfront, Sugar Beach, Ashbridges Bay and the Distillery District. Yonge and Bloor can be reached in just 15 minutes, and the financial area of King and Bay is a fast 20-minute subway ride away. Incepted in 2000, Forme Development Group is an influential real estate development company that conceptualizes top rate quality residential low-rise and high-rise condominiums, townhouses, custom freehold homes and commercial properties throughout Canada and beyond. They have emerged to be a true leader in the GTA, providing the latest in sustainable building techniques and materials to every project they undertake. The company is driven by the vision includes providing exhilarating communities in attractive settings that appoint the highest standards in quality, livability and layout. It takes pride in a competent international foundation of partners and a highly skilled support team backing them. It deals with each project with an integrated and personalized approach. It has earned a respectable name in the realty market due to its exceptionally impressive condominium residences in premier locations.